By some estimates, over 27 million Americans suffer from some form of joint pain, loss of function or movement limitation. Joint replacement is quickly becoming one of the most common elective surgical procedures in the U.S. Over seven million Americans are living with full or partial knee replacement, and two and one half million with artificial hips. That number is projected to increase 149 percent by 2050. Women are more likely to undergo joint replacement than men, however men are increasingly undergoing total joint replacement surgery. Although the majority of all patients are between the ages of 50 and 80, studies indicate the average age of those undergoing joint replacement continues to decrease. Today the average age for hip replacement is just under 65, while the average age for knee replacement is just under 66 years. The number of procedures being performed on younger persons is steadily growing due to a combination of factors. More than 50 percent of people undergoing total hip replacement and 79 percent of those undergoing total knee replacement are either obese or morbidly obese. More people have been active or athletic from adolescence through adulthood, often resulting in injuries that can cause arthritic damage. Additionally, many people expect their level of activity to remain well into their 50’s, 60’s and 70’s. Surgical devices and techniques have improved over time. Although partial knee replacements are slated to last a decade before additional or revision surgery is needed, most total knee replacements endure for twenty years or longer. Advantages of surgery include improved mobility and quality of life and, in most cases, freedom from pain. Alternatively, non-surgical conservative treatments such as weight reduction can reduce the strain on joints. Though often painful and difficult, some form of non-impact exercise, such as swimming or water aerobics can gradually improve the strength and flexibility of joints, possibly delaying surgical replacement for a number of years. An anti-inflammatory or arthritis-friendly diet can help reduce joint swelling and pain, as well as decrease the duration of morning inflexibility or stiffness. Diet: Frequently touted for its anti-aging, anti-inflammatory and disease fighting elements, the Mediterranean style diet may be the best for weight maintenance, as well as for curbing inflammation, lowering blood pressure, and protecting against chronic conditions. The diet provides healthy omega-3 fats and includes foods such as olive oil, avocado and salmon that may help to lubricate the joints, as well reduce inflammation. Weight maintenance: Joints are built to withstand a certain amount of force. Those who carry extra pounds put additional stress on weight bearing joints. Losing weight when needed reduces the loading force on the knee when a step is taken. A healthy diet and regular exercise improve the odds of reaching and maintaining an optimal weight. Physical activity: Low impact exercises that minimize stress on joints include cycling, pilates, swimming, walking and yoga. Pay attention to pain signals that are different from muscle soreness. Don’t overdo and always balance activity with rest. For best results be sure to include five minutes of warm-up and cool-down exercises to reduce strain on joints and muscles. Proper strength training can help increase the stability of joints, while decreasing pain. Range of motion exercises that extend, bend or rotate the joints help to improve flexibility, relieve stiffness and pain and help protect joint function. Exercises that strengthen the quadricep muscles will help to support knee joints. Joint support devices: To help prevent injury and aid healing consider wearing assistive devices such as braces or sleeves that support joint placement and absorb stress, shock and vibration. Elbow braces can promote comfort and healing of elbow pain during activity and rest. A sacroiliac belt supports the base of the spine, increases strength and lessens the chance of injury during activities such as bending, lifting or twisting. Knee braces stabilize the joint to allow ligaments to heal and help relieve pain. Kick the habit: Those who smoke have a greater risk of developing osteoporosis and consequently a higher fracture risk. Smoking increases inflammation throughout the body and can increase recovery and healing time. Smoking is associated with chronic musculoskeletal conditions, including low back pain, degenerative disc disease and knee osteoarthritis, a leading cause of disability in older persons. Researched based supplements: Well-designed clinical trials indicate certain nutrients can help maintain healthy cartilage or ease discomfort. These include turmeric to reduce joint pain and inflammation; omega-3 fish oils for powerful anti-inflammatory effects that may significantly decrease joint tenderness and stiffness; glucosamine/chondroitin to suppress anti-inflammatory pathways; and vitamins D3 and K2 for bone health support and efficient calcium absorption. Curcum-Evail® by Designs for Health®: This patent-pending, highly bioavailable formula provides a unique combination of turmeric oil and three bioactive, health-promoting curcuminoids, the strongest most protective constituents of the turmeric root. Gluten free, Non-GMO formulation. Theracurmin® HP 600 mg by Integrative Therapeutics®: This product utilizes patented colloidal dispersion technology to enhance bioavailability and dramatically increase curcumin levels. Gluten, soy, wheat, dairy, yeast, preservative and artificial ingredient free. Vegan formulation. EPA Ultimate by Pure Encapsulations®: Sourced from Pacific ocean sardines and anchovies, this eco-friendly, supercritical CO2 extracted, high EPA fish oil concentrate supports skin, joint and vascular health, as well as mood and emotional wellbeing. Gluten and soy free, Non-GMO formulation. Glucosamine Chondroitin with MSM by Pure Encapsulations®: This formula provides specific nutritional support for connective tissue health, joint comfort, and optimal cartilage composition. Gluten and soy free, Non-GMO formulation. Vitamin D Supreme with Vitamin K1 and K2 by Designs for Health®: This synergistic formula provides a clinically useful dose of vitamin D3, along with highly bioavailable K1 and K2, in support of optimal bone and arterial health as well as proper immune system balance. Gluten free, Non-GMO formulation. When it comes to maintaining physical strength, balance and flexibility during the senior years, the phrase, “use it, or lose it,” may come to mind. Now it appears the same holds true for the maintenance of brain health and cognitive function. A new study suggests that exercise has positive effects that may slow normal age-related cognitive decline. Physical activity stimulates the growth of muscle cells and supports the brain on multiple levels. Aerobic exercise, in particular, may improve and protect information processing and memory functions, especially in later life. Maintaining brain health and plasticity throughout life is particularly crucial from middle age onward, a time of challenges that can include the development of neurodegenerative diseases. Studies have shown that physical activity is associated with lowered risks of cognitive impairment, dementia and Alzheimer’s disease. Perhaps most significantly, data supports the role of exercise in increased neuronal survival, the promotion of brain vascularization, and the stimulation of neurogenesis, as well as enhanced learning and the maintenance of cognitive function during aging. It appears that regular aerobic exercise provides a simple way to maintain brain function and promote brain plasticity. Physical activity directly benefits the brain through its ability to reduce insulin resistance and inflammation, known contributors to cognitive decline. Exercise stimulates the release of growth factors like brain-derived neurotrophic factor (BDNF), which helps to repair and protect brain cells. Growth factors, or brain chemicals, affect not only the quantity and survival of new brain cells, but also the growth of new blood vessels and neuronal connectors. Indirectly, exercise can improve mood, support restful sleep, and reduce stress and anxiety. Depression, poor sleep, anxiety and chronic stress are often viewed as contributors to cognitive impairment. A recent study that looked at the connection between exercise and brain health, measured physical fitness by testing the participants’ maximum oxygen consumption during aerobic exercise. Known as the VO2 max test, this method is recognized by the American Heart Association as an objective way to measure cardiovascular fitness. The study was able to link greater physical fitness with healthier brain white matter. The integrity of white matter, where billions of neurons are bundled together, provides an indication of how well brain areas communicate. Healthier white matter correlates with better memory and learning abilities, as well as higher executive functions. Participants with lower levels of aerobic fitness, and consequently weaker white matter, performed worse on memory and reasoning tests. Similar to its role in cardiac and overall health, exercise benefits the brain by improving blood flow, reducing inflammation and raising oxygen levels. While the role of exercise in forestalling dementia continues to be studied, scientific data supports staying active throughout life. Per the lead study author Dr. Kan Ding, a neurologist from the Peter O’Donnell Jr. Brain Institute, “This research supports the hypothesis that improving people’s fitness may improve their brain health and slow down the aging process.” The amount of exercise needed to receive these health benefits is relatively small. Just 30 minutes of brisk walking most days of the week or one hour of aerobic activity three days a week may help determine neurocognitive performance in the golden years. Ubiquinol-QH 200 mg by Pure Encapsulations®: This product provides Kaneka QH™, a readily absorbable, active antioxidant form of CoQ10, in support of cellular energy production, cardiovascular health and free radical protection. Gluten free, hypoallergenic, Non-GMO formulation. 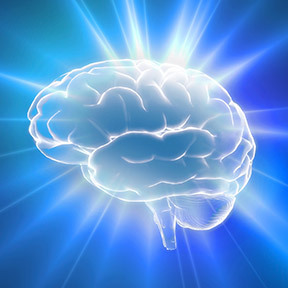 Brain Vitale™ by Designs for Health®: This unique formulation is designed to optimize brain function and support healthy cognition, mood and memory. Specific ingredients assist with various aspects of brain health, such as cell energy production, mitochondrial support and antioxidant protection. Gluten free. ProDHA™ Memory by Nordic Naturals®: This potent DHA-rich formulation provides concentrated omega-3 fish oil blended with optimized curcumin, phosphatidylcholine and huperzine-A. These ingredients support neuronal communication, reduced oxidative stress, and brain cell structure and function. Gluten, dairy and artificial ingredient free. PS 150 Phosphatidylserine by Designs for Health®: An essential component of all neuronal membranes, phosphatidylserine supports a wide range of brain activities, including mental focus, memory recall and task performance. Gluten and soy free, Non-GMO formulation. Acetyl-L-Carnitine 500 mg by Douglas Laboratories®: This naturally occurring metabolite plays a key role in supporting cognitive function during aging, while also helping to reduce fatigue. Acetyl-L-Carnitine protects against oxidative stress, influences nerve growth factor activity, and helps maintain cellular membrane stability. Free of yeast, wheat, gluten, soy, dairy, corn, sodium, sugar, starch, preservatives and artificial coloring. Non-GMO formulation. 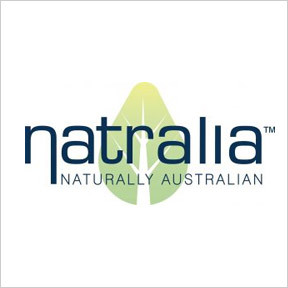 Professional Supplement Center now offers Natralia™, a line of skin care solutions and treatments developed in Australia. Natralia™ was born from a father’s desire to help his own son who faced the day-to-day challenges of eczema. Developed by experienced pharmacists, the Natralia™ line now includes a variety of safe and highly effective products formulated for eczema and psoriasis care, as well as dry skin and restorative footcare treatments. Renowned for their innovative approach and in-depth research, the Natralia™ line is manufactured with a high emphasis on quality in state-of-the-art facilities. Pharmaceutical grade materials are utilized where possible and all raw materials and finished products undergo rigorous testing. Products specifically designed for adults and children include natural ingredients, such as colloidal oatmeal, calendula, tea tree oil, shea butter, jojoba and more. Eczema and Psoriasis Cream: Suitable for adults and children, this cortisone-free, flare control cream provides symptomatic relief of mild to moderate eczema, psoriasis and dermatitis, including rash, irritation, itching, redness, flaking and scaling. Formulated with a unique blend of homeopathics, natural herbs and essentials oils. Free of coal, pine tar, paraffin, parabens and nut oils. Eczema and Psoriasis Wash & Shampoo: This gentle, soap and sulfate free, 2-in-1 body wash and shampoo is formulated with a balanced blend of homeopathic medicines, herbal extracts and essential oils. Ingredients are specifically chosen for their effective relief from itchy, flaky irritation of the scalp and body. Non-irritating formula suitable for adults and children. Anti-itch Soothing Cream: This clinically proven, fast-acting cream calms, soothes and relieves irritated, itchy skin. May be used for bug bites and sunburn, as well as poison ivy, oak and sumac. Ingredients include natural colloidal oatmeal, menthol and Canadian willowherb. Cortisone free. Anti-Fungal Liquid: This maximum strength, clinically proven formula provides effective relief against most athlete’s foot and ringworm. Ingredients include tea tree and eucalyptus oils to relieve itching, cracking and burning, and aloe and vitamin E to moisturize, soothe and condition the skin. Fast drying. Easy brush-on application. Happy Little Bodies™ Eczema Body Wash & Shampoo: Specifically formulated for children and babies, this soap-free, non-irritating alternative to traditional shampoo and soaps helps to manage skin irritation, itching and dryness. Sting-free, pH balanced. No paraffin, coal or pine tar. Happy Little Bodies™ Eczema Relief Cream: This gentle, hypoallergenic, steroid-free cream is formulated with natural ingredients including 5% colloidal oatmeal, calendula and peppermint oil. Sting-free and pH balanced for children and babies, this effective cream helps soothe rashes and itchy flare-ups.